Have you ever wondered what marketing might look like inside one of the world’s leading marketing technology companies? 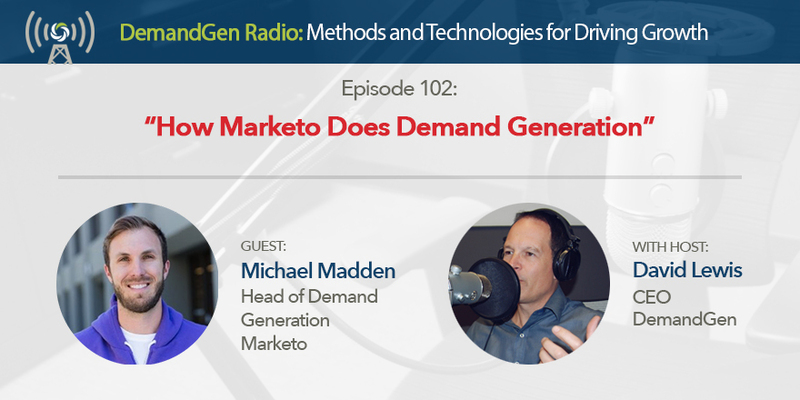 If so, you’ll want to tune into this episode as Michael Madden shares how Marketo does demand generation. Listen as Michael talks about his favorite Marketo features and functionalities, what tools comprise the company's tech stack, and what marketing programs and initiatives he’s most focused on.